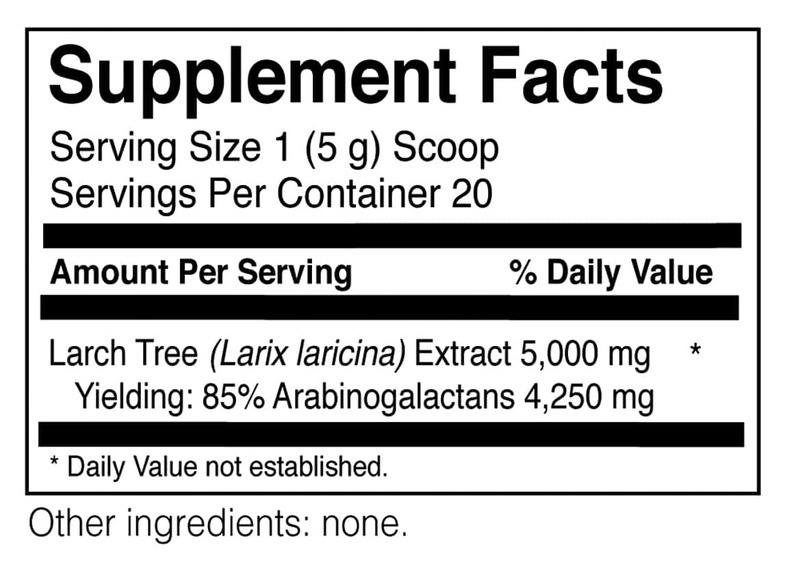 Arabinogalactans are recommended for immune system support and support of a balanced immune response and insulin levels within normal ranges. A healthy immune system can also counter the negative effects of free radicals that are produced in the body in response to stress, pollutants, toxins and from normal cellular processes. * G.I. Tract and Colon Health. Arabinogalactans work in the GI tract by activating immune cells. 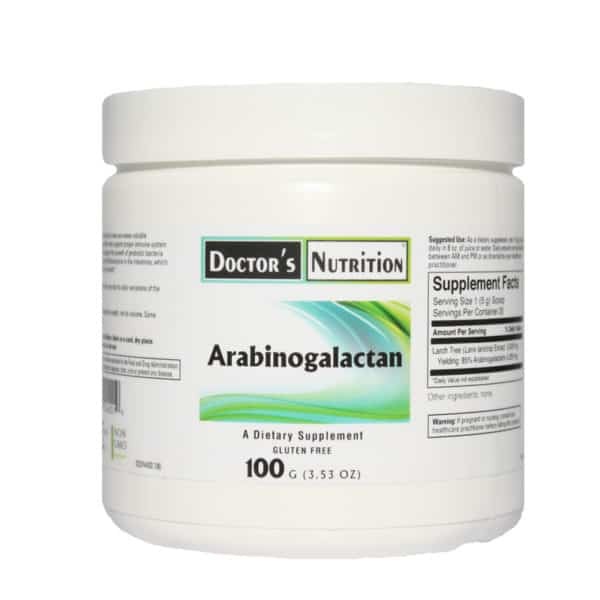 * Arabinogalactans support colon health by acting as a fermentable fiber to support growth of probiotic bacteria such as Lactobacillus and Bifidobacteria in the colon. * Arabinogalactans contribute to healthy microflora levels that are important for GI tract health. Suggested Use: As a dietary supplement, mix 1 (5 g) scoop, 1-3 times daily, or as professionally directed.